SAILING: With winds easing off slightly on the fourth race day of the 2012 Phuket King's Cup Regatta, competitors looked to maximise every possible advantage as valuable points were up for grabs. Frank Pong and his Jelik team have been the quickest of the IRC Zero class boats in the last few races, but today, Kevin Whitcraft’s Won Ma Rang shared class honours. Won Ma Rang took victory in race eight, with race nine going to rivals Jelik. It has set up a stunning finale for the final day as Jelik is on top with 13 points, and Won Ma Rang close behind on 15 points. 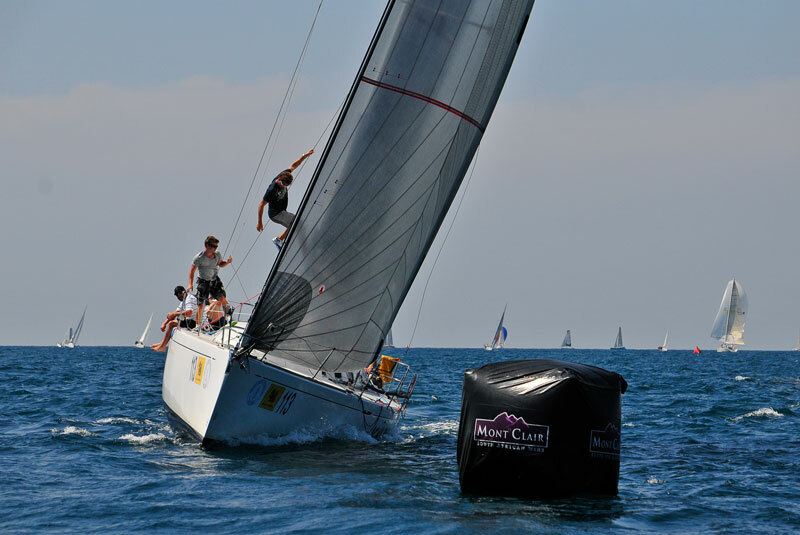 EFG Bank Mandrake found some of last year’s magic with a win in IRC1 race eight. They finished with a nose in front of David Fuller’s Ichi Ban team, who came on strong to win race nine. Foxy Lady 6 skippered by Bill Bremner came third in both races. The upshot is that Ichi Ban leads the standings with Foxy Lady 6 (18) and EFG Bank Mandrake (22) in second and third respectively, ahead of what is sure to be an exciting race tomorrow. Ichi Ban powered ahead in the IRC2 class to win the series early, making for a superb Ichi Ban double. Race nine was won by Peter Dyer’s Kata Rocks team, who remains third in the table behind the Royal Thai Navy 1. The Firefly 850 Sports class continues to entertain with finishes separated by just a few minutes. Race eight went to Roger Kingdon’s Moto Inzi team, but it had little impact on the table due to the margin enjoyed by Hans Rahmann’s Voodoo. Likewise with IRC1 and IRC2, the leading Voodoo team now cannot be beaten. In the Multihull class, Andrew Stransky’s Fantasia team took another great win in race eight, and in race nine, they finished just two minutes behind Peter Wilcox’s Mojo; these two teams are now tied at the top, setting up a stunning clash for the final day. In Platu One Design class, it was Japan versus Thailand; Makiko Matsuishi and team IPPAI took race seven but Thai-registered Tuay Lek skippered by Scott Duncanson won the next two races. Just two points separate them going into the final day – a contest to be followed closely by everyone in Thailand! Amongst the Premier class boats, there is a great battle going on between Richard Dobbs’ British Titania of Cowes team, and the Thai Pine-Pacific team. Things were shook-up today as race six went to another boat, Xena. Titania of Cowes remains on top with six points, with Pine-Pacific in second on 10. There is also a tight contest taking place in the Modern Classic class. Just three points separate Patrice III, Windstar and Emerald Blue, with today’s win going to Nick Band’s Emerald Blue. This is another hot race to keep an eye on tomorrow. The large fleet of 23 Bareboat Charter class vessels set sail with two boats in particular heading the pack; Sail Plane skippered by Kirill Sakhattzev and Agility International (Venture) skippered by Graeme Sheldon. Sail Plane took victory in race six, by three minutes. This means they are three points ahead of their rivals going in to the final stage. In Cruising class, William Lo’s “No Name” won again to stay top, ahead of rivals Sansiri (Ok-La) and team Linda skippered by Jack Christensen. With some early business already written to account, there is still everything to race for in many classes on the final day.